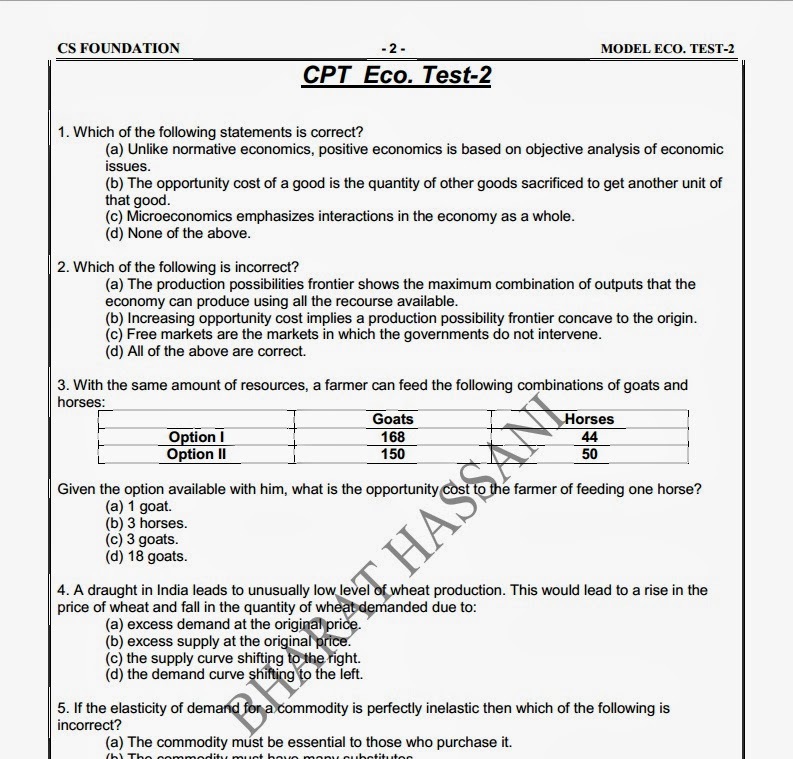 Here we are providing the Model Test Paper (Economics) for CS Foundation Students. Students can download the test paper, solve and practice for their better performance in CS Examinations. The students of Foundation Programme are required to download the model paper and answer sheet to practice for the examination.